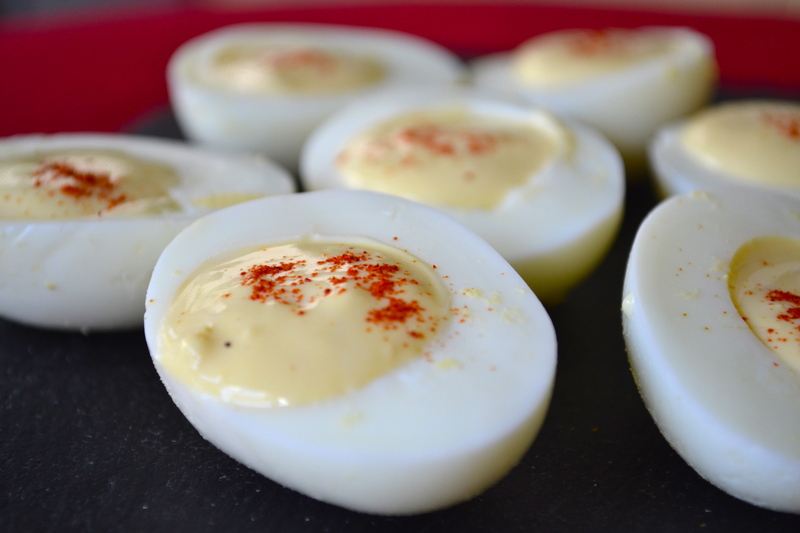 Another delicious game day recipe! 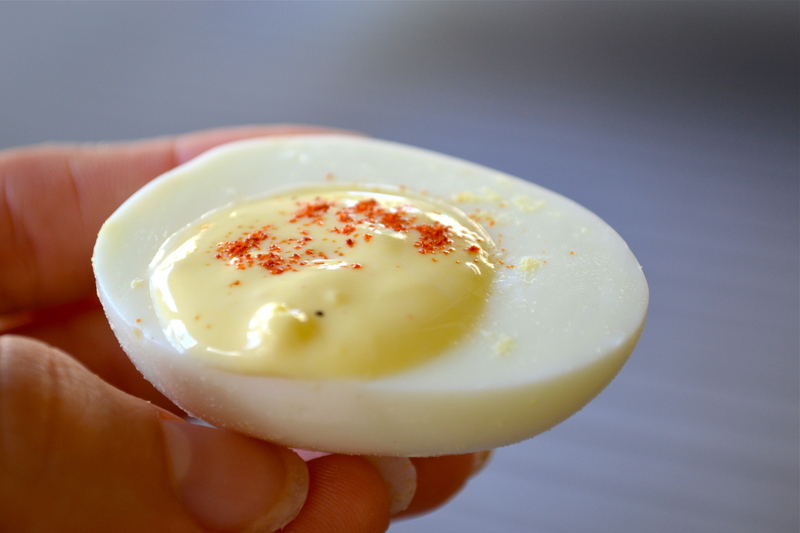 Directions: After hard boiled eggs have cooled, slice in half lengthwise and scoop out the yellow yolks into a bowl. Discard half of the yolks and place the remaining ones in a high speed blender or food processor. Add in all other ingredients. Blend until smooth. Scoop back into empty egg whites. Sprinkle with paprika. Store in refrigerator until serving. You may have seen something like this before, but not these delicious bites. Unlike other no bake peanut butter desserts that are usually heavy laden with only peanut butter and real butter, these have just enough of that yummy nut butter to give you the real peanut butter taste, but not any of that other junk to keep that small waist. These would serve as a great tailgating dessert! On a hot sunny day, people typically don’t want any baked goods that are warm, so why not give them the same, delicious cookie experience, unbaked? 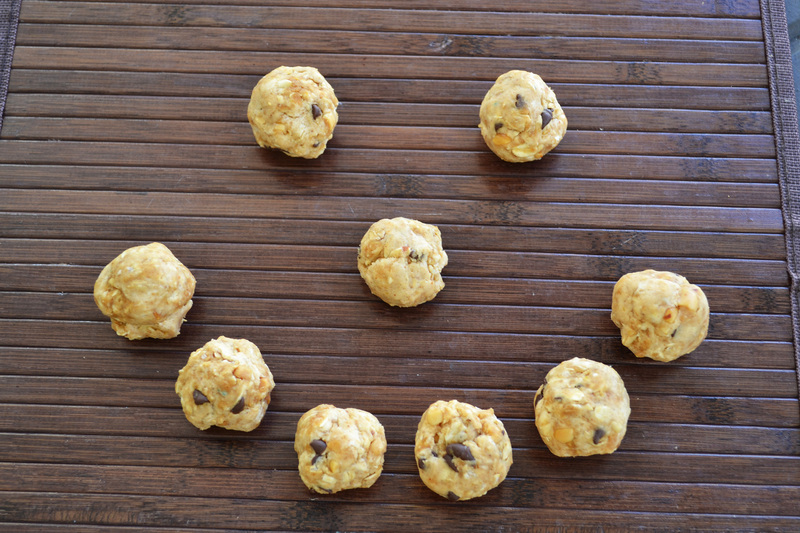 If we’re honest with ourselves, I think we would all admit the cookie dough is the best part anyways. And as people are typically eating and drinking heavy on game days, what would be better than ending on a lighter, yet just as tasty note? That’s a happy day. 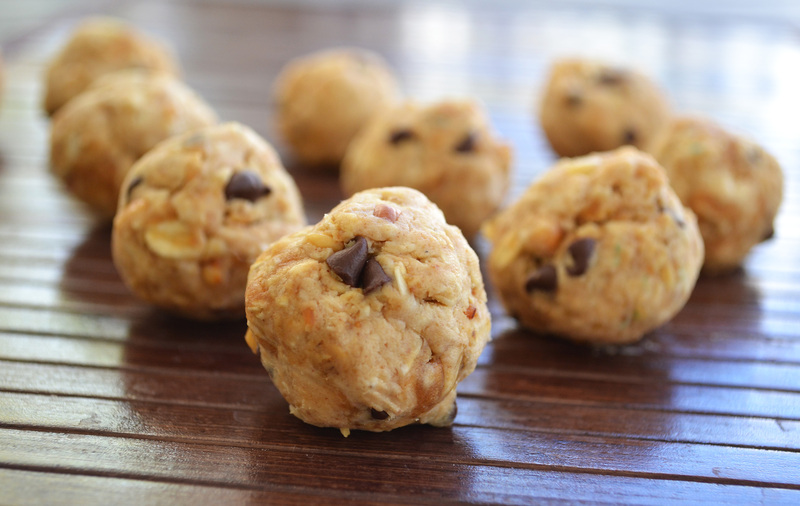 These peanut butter bites also are high in protein compared to your typical dessert. And very customizable! Use creamy peanut butter to keep it smooth, or chunky to add that delicious crunch. 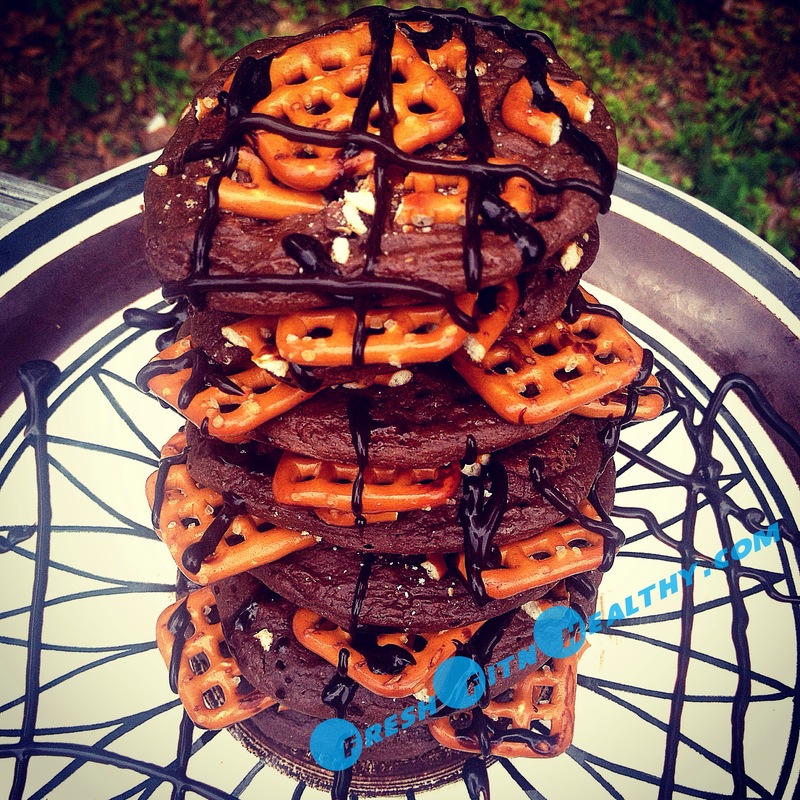 Add chocolate chips if your a chocoholic like me (or love a Reeses flavor! ), or keep it plain if you like your desserts simple. Allergic to peanuts? 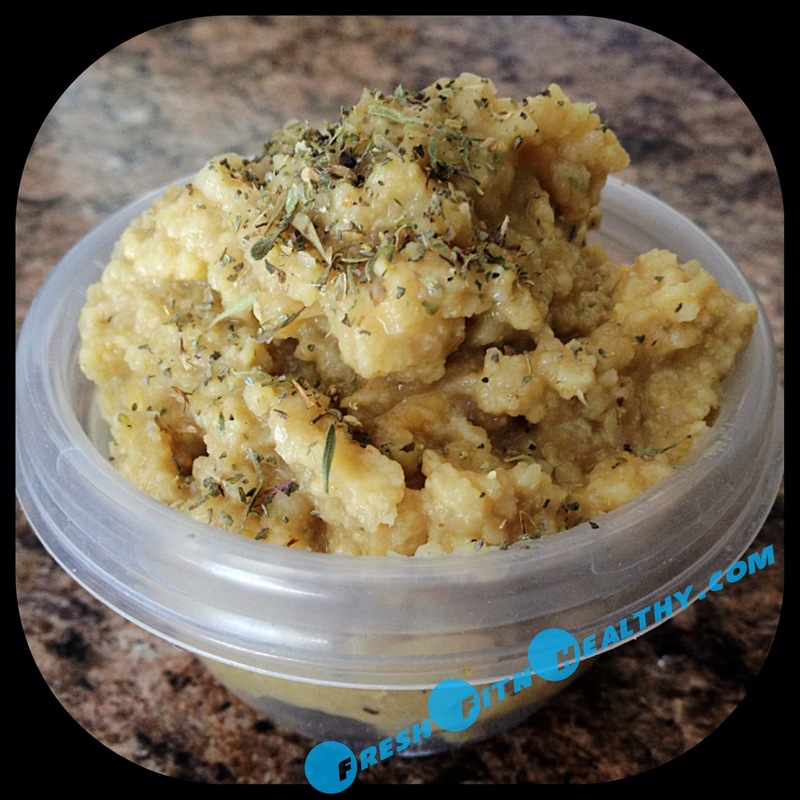 Substitute any other nut butter or even other butters like coconut butter or seed butters! Directions: Combine all ingredients in a bowl, and mix until everything is thoroughly mixed together. Rolled into small balls, about one heaping tablespoon of “dough”. If dough is too moist to roll, add more flour. If it is too dry, add more peanut butter or honey. 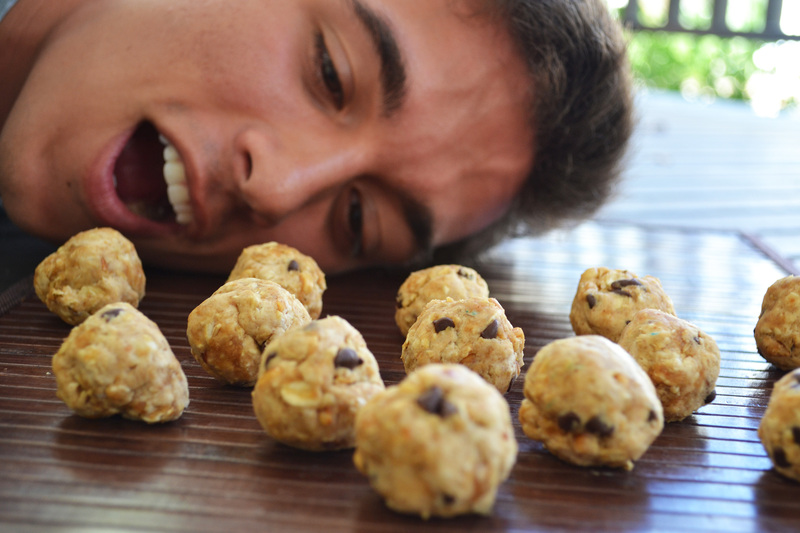 Makes about 12 balls (can double or triple recipe as you’ll want more than one!). Store in refrigerator if not eating right away. Haha yep, remember those green plants that would grow out of some type of fun shaped pot?! Well they aren’t only for growing great plant decorations anymore. They have entered into the healthy eating world now my friends. 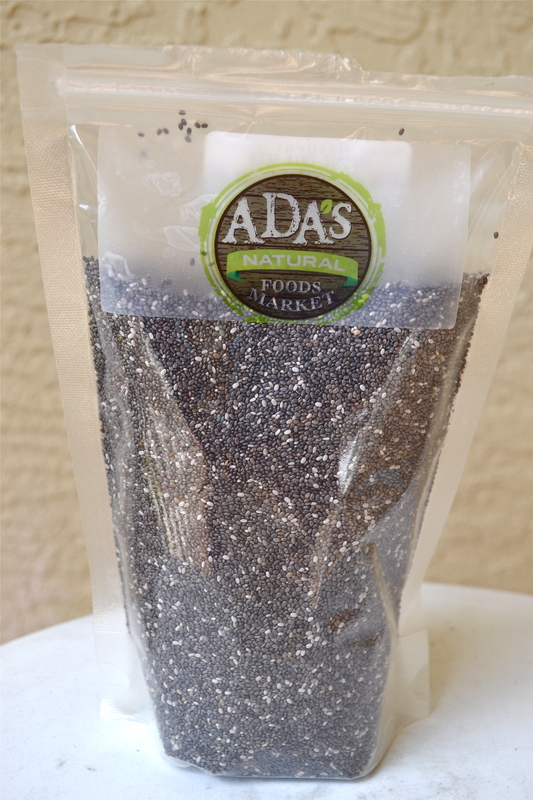 I mentioned how healthy chia seeds are in a couple posts back. But boy do they add a great texture as well. 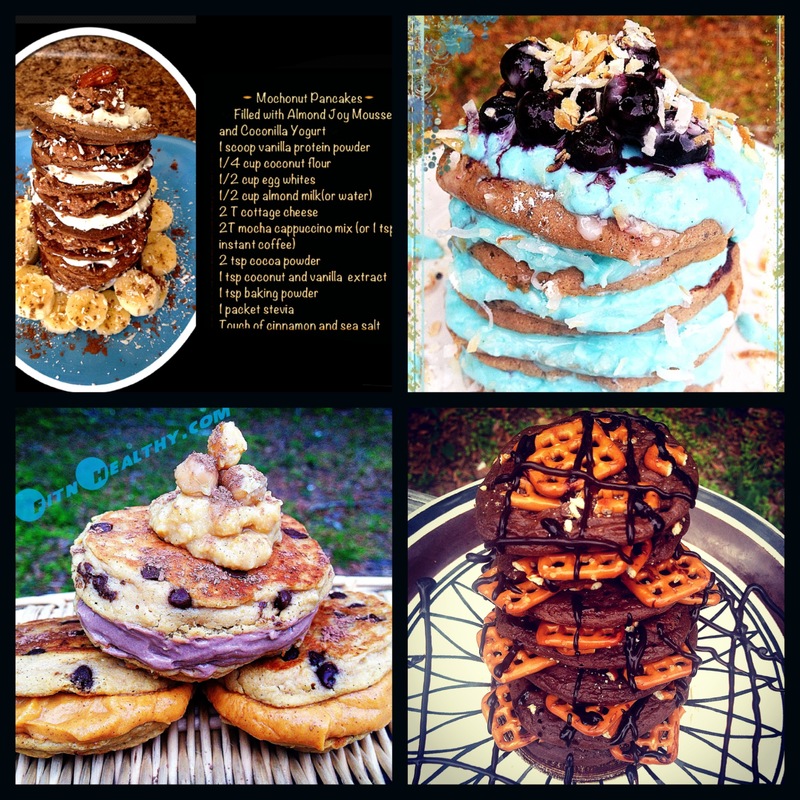 Typical puddings usually have some type of unhealthy ingredient to thicken, whether it be the typical heavy cream, which is full of fat, or an artificial ingredient, which needs no more explanation. But say hello to these little black seeds. They may just become your new best friend. They are the perfect thickening agent for any recipe. A healthy and all-natural thickener with many benefits! 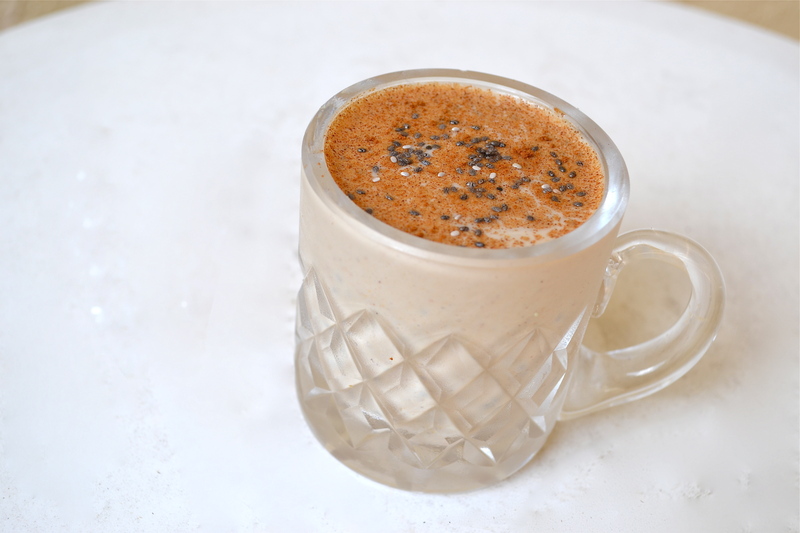 You may have seen some chia seed recipes around the internet before, as it’s quickly becoming popular. But this vanilla latte flavor was incredible. What sparked the flavor idea? Well, I can’t say it was my creativity actually. It was more of the fact that I had leftover vanilla flavored coffee one morning that I didn’t want to drink. And thought, hmmm, why not?! I am most certainly happy I didn’t want the rest of my coffee that day, because what came from it was an amazing, simple snack that I will surely be making more often. Directions: Combine all ingredients in mug or small bowl. Cover and refrigerate for at least 2 hours, to allow it to thicken. Remove and sprinkle with extra cinnamon. Enjoy alone with a spoon, make it into a parfait, or serve alongside a cookie/biscotti. Why does every single granola today have to be loaded with sugar as well? Here people think they are being “healthy” by having yogurt and granola, yet they are eating flavored yogurt with tons of sugar, and granola with tons of sugar. Sugar overload without even knowing it?? I think so. This sugar detox I have been on this last month has really open my eyes. There really is so much added sugar in almost everything these days! I am constantly having to read labels throughout this detox for fear of buying and eating something with sugar; even products you would never guess had sugar! No, this granola isn’t super sweet like the store-bought stuff you are normally use to, as it does have no sugar; but it is quite good! And without the super sweet taste, it won’t spike your blood sugar levels and lead to overeating! My mom even liked it better than the one she was eating prior to this. 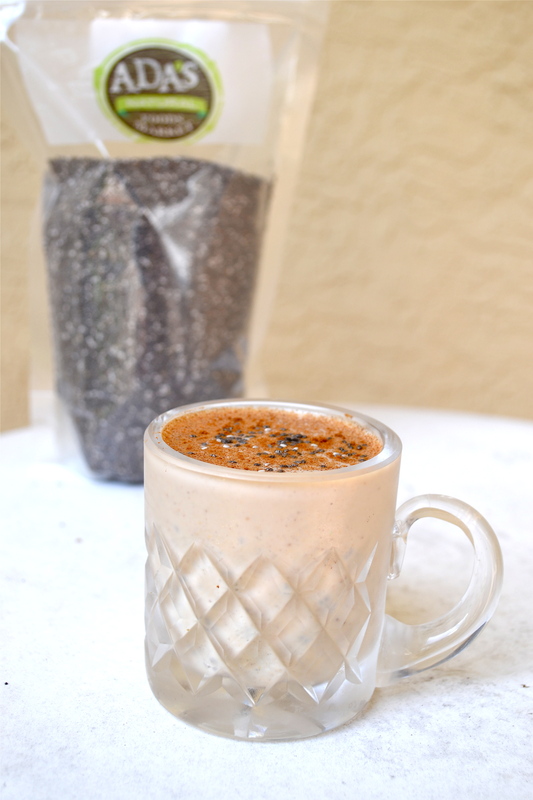 It is loaded with many of my favorite seeds: hemp, flax, and pumpkin seeds! Which leads me to why I had to hold out on sharing this recipe for a little bit. 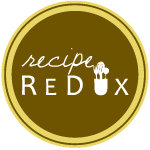 This is my first month being a part of Recipe Redux, which is an awesome community of healthy living bloggers that strive to create more nutritious recipes. Each month, we get a theme that we must make a recipe according to. Can you guess this month’s theme?! You got it, SEEDS! 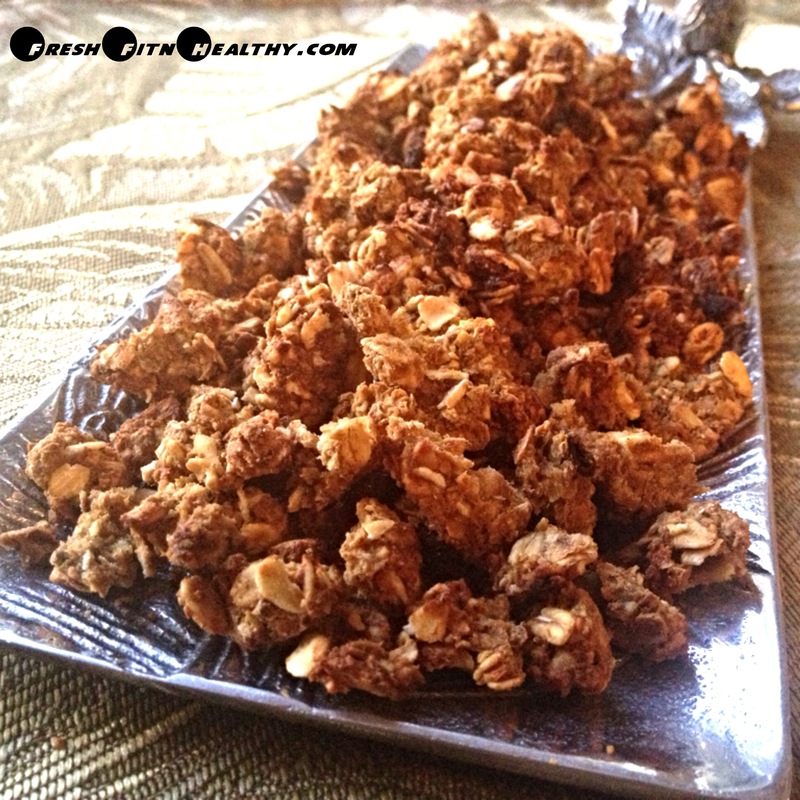 “Sowing Seeds” to be exact :) I knew I had been wanting to make a healthy no sugar granola for awhile when starting my sugar detox, so this was a perfect opportunity to do just that. I hope you enjoy, I know I did as mine only lasted a couple days! Directions: Preheat oven to 350 degrees. Combine all seeds, oats, and currants, cinnamon, sea salt, and cacao nibs (if using) in a bowl. 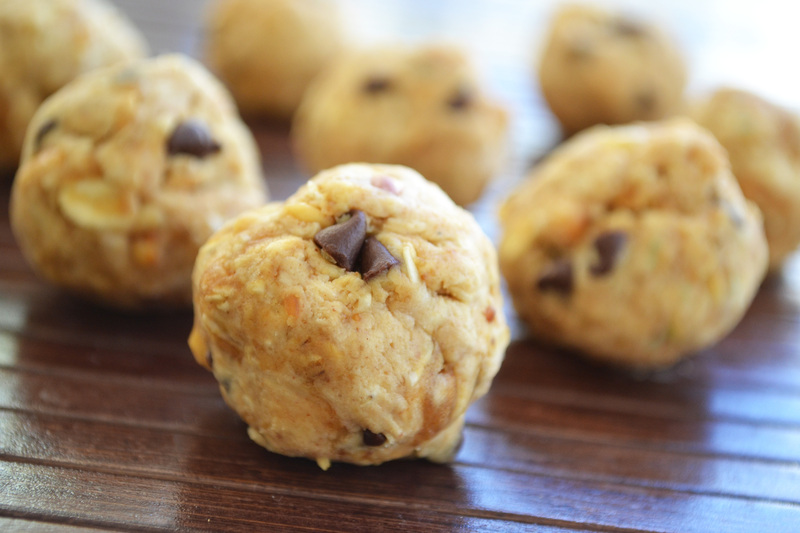 In small bowl, combine mashed banana, pumpkin, oil, extract, and peanut butter. Mix in wet ingredients into dry ingredients. (if too dry, add more pumpkin or oil, if too wet, add a touch of flaxseed). Mixture should be crumbly but sticky. Place on non-stick cookie sheet (can place on aluminum foil on sheet to prevent mess if desired). Bake in oven for 10 minutes. Take out and toss mixture around, bake for another 10 minutes. Check: if browned, it is done and you can take out; if not crispy yet, bake for 5 minute intervals, watching closely, as it burns very easily! Take out and let cool on tray. Enjoy! I attempt to make protein breads and muffins a lot, but rarely do they turn out without them either not rising, tasting like protein powder, or just not being good. But last night was different. It is an exciting thing when a new creation turns out excellent on the very first try. I was so happy. It all started when my mom told me I needed to make a good oatmeal muffin. Of course, I thought of pumpkin at first. Then I thought apple would be good too. 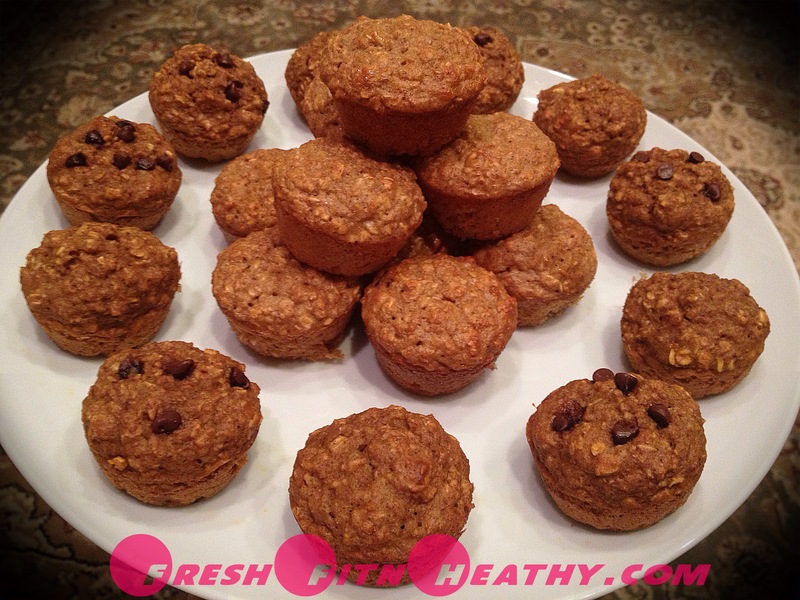 And why not throw in some protein powder and make them a fit muffin as well? 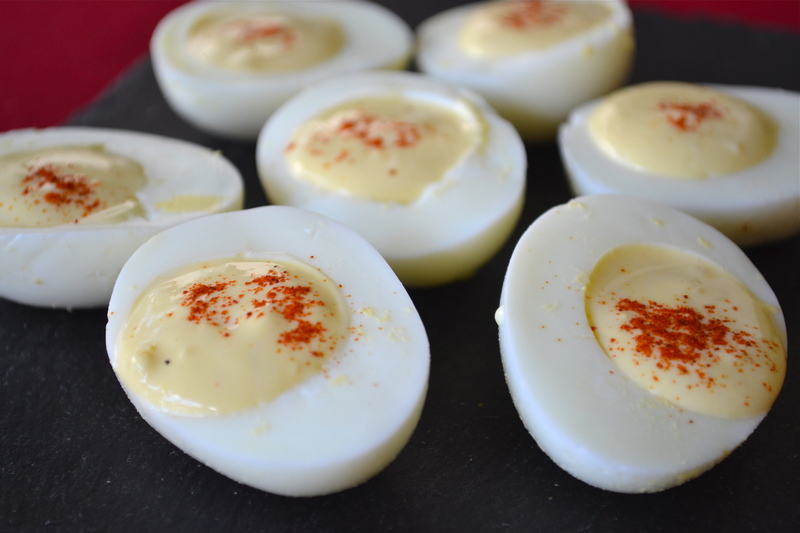 Enjoy of couple of these for breakfast, a snack, or topped with ice cream for a delicious dessert! Directions: Pick either to make the apple or pumpkin variety of recipe (DO NOT just make oatmeal muffins without one or the other). Mix all dry ingredients and wet ingredients in 2 separate bowls. Combine into one bowl just until thoroughly mixed. Pour into mini muffin tins (makes 24). Bake at 350 degrees F until done, about 15 minutes. (Can make normal sized muffins, just add more baking time).